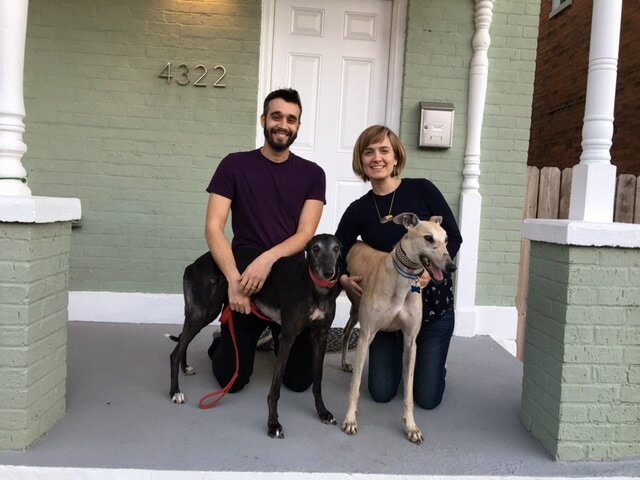 JA's Brucewillis is HOME in Northside with Isaac, Claire and their sweet little female, Junebug (not pictured is Wallis their cat) This family wanted an active, FUN boy and Brucewillis is exactly what they wanted. When Bruce walked into their home, he jumped right up on the couch and rolled on his back! I know he knew he was HOME! Junebug will teach him how to go up lots of steps, with her leadership he'll be just fine.